Slovenia is a land of fairy-tale castles, beautiful rivers and lakes, incredible mountains, and vibrant cities. It may be small, but this country at the western edge of the Balkan peninsula is well worth visiting in depth. 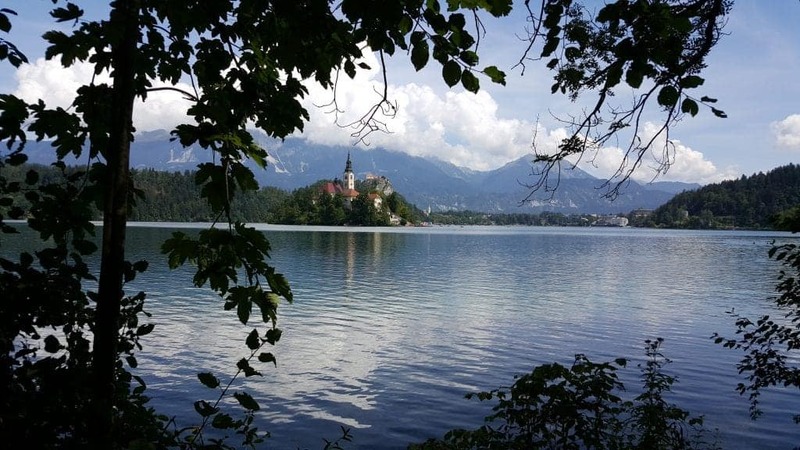 This guide to where to go in Slovenia includes well-known destinations like Ljubljana and Lake Bled, but you’ll also plenty of off the beaten path Slovenia hidden gems as well, contributed to by over two dozen travel bloggers who have visited and loved Slovenia! So, without further ado, here are what we think are the best places to visit in Slovenia. Ljubljana is a beautifully romantic city. Any trip to Slovenia’s charming capital should start with a visit to Prešeren Square, with its stunning Triple Bridge and cupcake pink Baroque Church of the Annunciation. Other city highlights include visiting Ljubljana Castle, which you can reach by either a short hike to the top of the hill or a ride up in the funicular. If you love European markets, then you simply must take a visit to the Central Market, which runs along the edge of the river. You can find everything from artisanal gelato to used jeans for sale here, so if you’re in the mood to hunt for a Slovenian souvenir, then give yourself a little bit of time to explore. To enjoy a slice of Slovenian history, head to Congress Square, where important figures like Josef Broz Tito and Bill Clinton have addressed the crowds. This is also where Slovenian independence from the Austro-Hungarian Empire was declared in 1918. My personal favorite spot in Ljubljana is the Dragon Bridge, the city’s famous Art Nouveau landmark. It’s this bridge, when combined with the pinks and dreamy yellows of the city’s architecture, that gives Ljubljana its patina of dreaminess and fairytale-esque escapades. Did you know that Slovenia has one of the best wines in Europe? Located near the Italian border, the Brda region has built up a reputation for doing some of the finest wines in the country and it has craved international recognition. This wine country has around 100 wine producers for approximately 5,000 inhabitants. 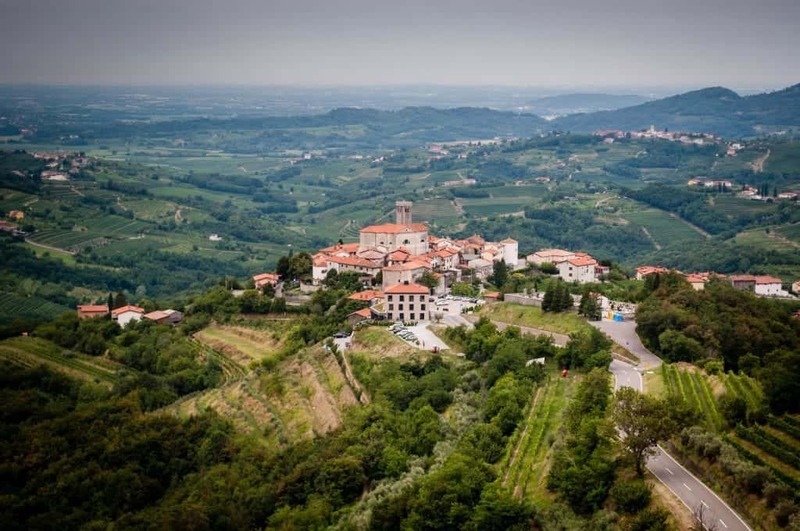 Goriska Brda is characterized by sparse small villages perched on top of rolling hills and miles and miles of vineyards. The panoramic roads connecting vineyards and villages are absolutely stunning. The typical wines in the region are white wines, Rebola and Friulano which is similar to Tokai. The main town of the region is Dobrovo with its castle as one of its main attraction. Also, don’t forget to visit the picturesque village of Šmartno. Considered a cultural monument, this tiny village offers great views of the valley and has many hiking trails. We recommend staying 2 days to better appreciate the wines, local food, and the many hiking trails. Do stop by the San Martin hotel for breathtaking views of the rolling hills. Of course, the main activity is wine tasting so prepare your taste buds you will enjoy your visit! Every feature of Krsnko Jezero contributes to the wonder and glory of the mountains in Slovenia. Situated in Lepana Valley at 1,350m, this 2-hour 15 minute day hike in Slovenia will bring you to a mountain trail so stunning with lovely wooden cottages that have the best creamiest blueberry pies and cottage cheese. To get to Krsnko Jezero, rent a car from Bovec and head towards Kranjska Gora. Turn right to the crossroad to Lepana Valley, a few hundred meters after the kilometre post 13.0. Drive this road through the Lepana Valley until you reach the end and park at the lodge of Dom dr. Klementa Juga. The lake is surrounded by colourful poppies, including several endangered species such as the yellow Kerner Alpine poppy. The first part of the hike will not be kind on your legs as you have to hike craggy paths with some strenuous switchbacks. These manoeuvrings of the track will bring you into the view the opening of the Krnsko Jezero Lake. You can stop here for a picnic and quietly take in the surroundings, and when you’re done you can also venture into other parts of Slovenia for a day-hikes just like what I did. No matter how often we saw the sights from higher ground, the stark contrast between the mountains and the green waters were a sight to behold. Triglav National Park is one of the most pristine alpine regions in Europe. The park gets its name from the country’s highest peak, Mt Triglav (2864 m) and coincides almost entirely with the Eastern Julian Alps. Covering about 4% of Slovenia, this massive area (840 square kilometers) is best explored over a few days. 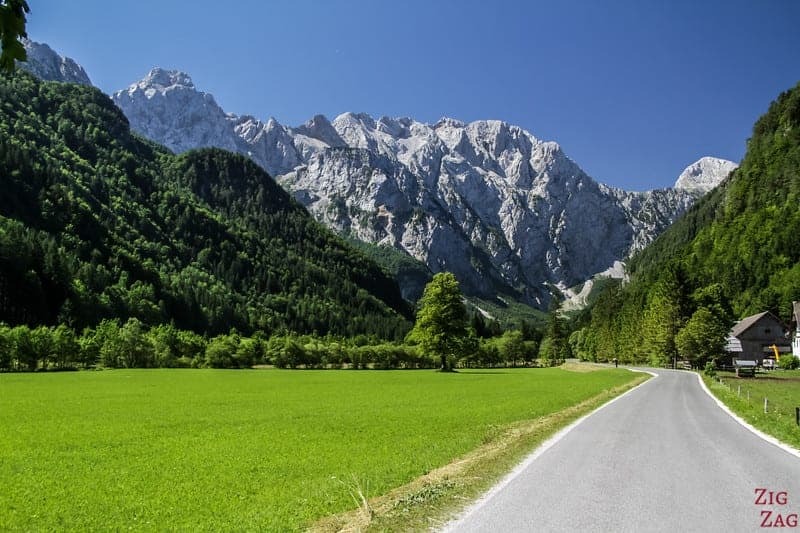 Highlights of Triglav National Park include Lake Bohinj, Slovenia’s largest glacial lake, Savica and Peričnik Waterfalls, Tolmin Gorges, and the Vintgar Gorge. These popular sites are easily accessible by car and a short walk from late Spring to early Fall. If you’re interested in exploring the more remote peaks and valleys of the Julian Alps, consider hiking hut to hut across Triglav National Park. In summer, you can overnight in mountain huts (rifugios) along the various trails. Just remember to make reservations in advance. Triglav National Park is free for everyone. There’s no entrance fee and you don’t have to have a permit to hike overnight in the park. However, some of the popular destinations have entrance fees. For example, Vintgar Gorge costs 9 EUR per adult and Savica Waterfall costs 3 EUR. If there ever was a city in Slovenia that deserved the byline ‘hidden gem’ in Slovenia, it would have to be Maribor. Although it is actually the second-biggest city in Slovenia, it still flies under most travelers’ radars. Historically, it was part of the Austrian empire and even today, it is located a mere 20 km from the Austrian border. It is a popular day trip destination for many Austrians and rightfully so. Located on the Drava river, between Calvary and Pyramid Hill, its location in combination with a relatively mild climate has always favored viniculture. In fact, did you know that Maribor is the home of the oldest still-existing grapevine in the world? In the same location as the Old Vine, you can also find the Old Vine House, a small museum dedicated to all things wine. Around the city, you’ll also find plenty of options to taste some of the region’s best wines (for the best experience and beautiful views, head to the vineyards outside the city). 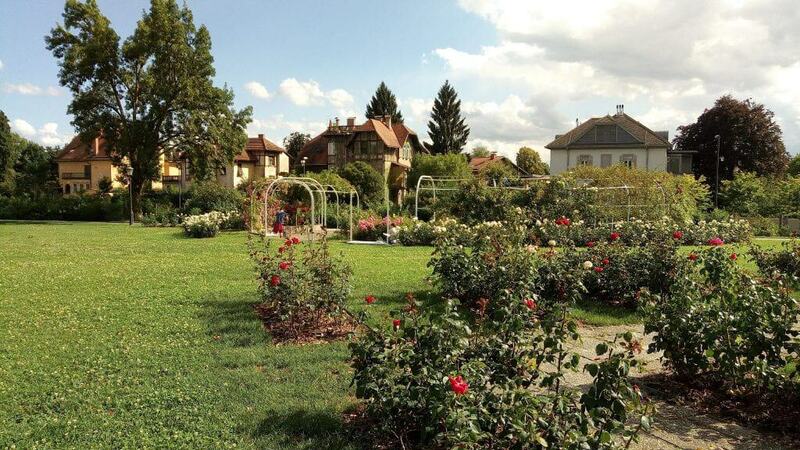 Apart from its long tradition in wine, Maribor also has plenty of historic sights to offer. Buildings such as the Water Tower and the Judgment Tower can be found in the Lent district. A bit further from the riverbank lies the city center with its beautiful examples of classical architecture, as well as the historic Jewish Quarter. 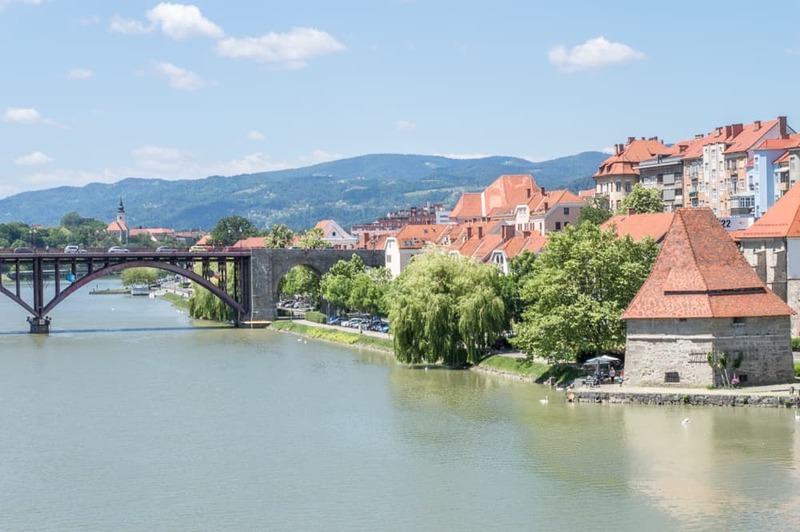 Although you can certainly see Maribor on a day trip, it’s well worth spending a night or two to really get out into the countryside and take in the views over the rolling hills. The best time to visit is without a doubt during the wine harvest in autumn, when the whole countryside turns into a stunning mix of red, orange, and yellow. Savica waterfall is the most popular waterfall in Slovenia and the third most visited sight in the country. Of course, it’s not as big or powerful as world-famous waterfalls like the Victoria or Iguazu Falls, but it has a unique charm and beauty all its own. The waterfall flows out of a karst cave tunnel and divides into two parts, making a distinctive “A” shape. The best time to visit is in the spring, when the snows of the mountains up above Lake Bohinj are melting and the water flow is at its highest. If you’re there in summer, it can get pretty crowded, so try to arrive early to avoid the tour groups. 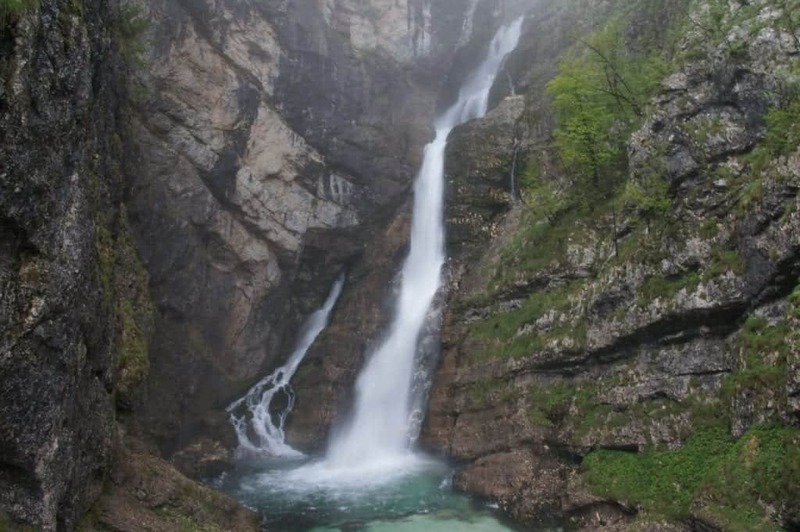 Savica Waterfall is located inside the Triglav National Park, which is the only national park in the country. It’s near Lake Bohinj, so if you’re already visiting the lake you should definitely include a short side trip to the waterfall. You’ll have to climb about 500 steps to reach it, which takes about 20 to 25 minutes. Be sure to wear shoes with good grip, as the pathway can get slippery. The view of the waterfall at the end is totally worth the effort, though! Unfortunately, Savica waterfall is not wheelchair accessible. There’s a modest entrance fee of 3 euros, which helps to keep the pathway well maintained. Most visitors stop at the viewing platform to take photos, but it’s also possible to continue a little further to a locked gate, from where you’ll have a closer view of the falls. Slovenia is one of the hottest destinations in Europe. Everybody is visiting Ljubljana, Predjama Castle, Lake Bled or Piran. Even though Slovenia is really small, and easy to drive around in just one day, there are still some places in a country that are off the beaten path. One of them is Podcetrtek. It is located on the East of Slovenia, in a halfway between Maribor and Zagreb, Croatia. This lovely region is one of the greenest places we have been to (it’s not always like that, we’ve been visiting Podcetrtek in September). I can’t imagine more peaceful place in Europe than this region. It’s a perfect holiday destination. 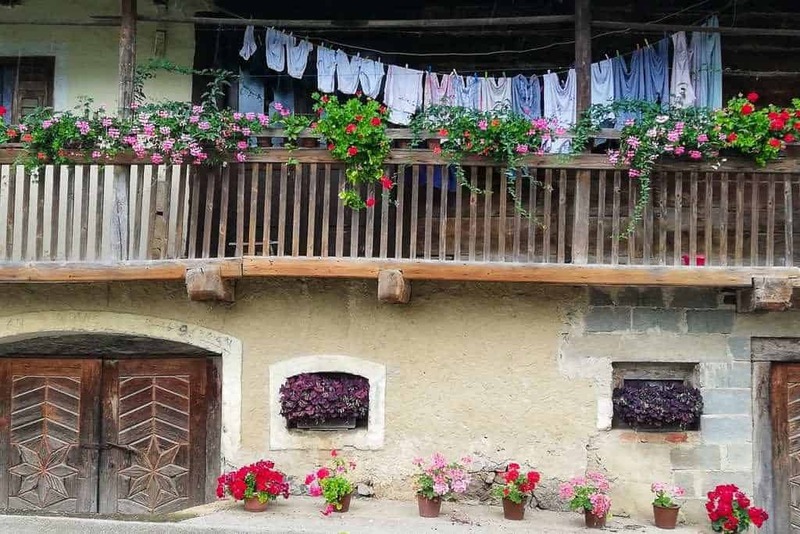 There are many things to do in Podcetrtek, including having fun at the Terme Olimia spa, visiting Olimje Minorite Monastery with one of the oldest pharmacies in Europe and watching animals at the Jelenov Greben Homestead. Be sure to go to Domacija Haler to try the crafted beer and some traditional Slovenian food. If you want to eat something sweet, go to Syncerus Chocolate Boutique to try some chocolate. Podcetrtek is quite small, so one or two days will be perfectly enough to visit all the important tourist spots. The best way to get there is by car. If you are going to Slovenia in the winter, there are a few magical places to go to. One of them in Vogel. It is named by locals as the most beautiful ski resort in Slovenia. The landscape is surreal and is situated in the Triglav National Park, therefore the area is protected, but they still allow skiers. It has 14 great slopes for both beginners and intermediate skiers. 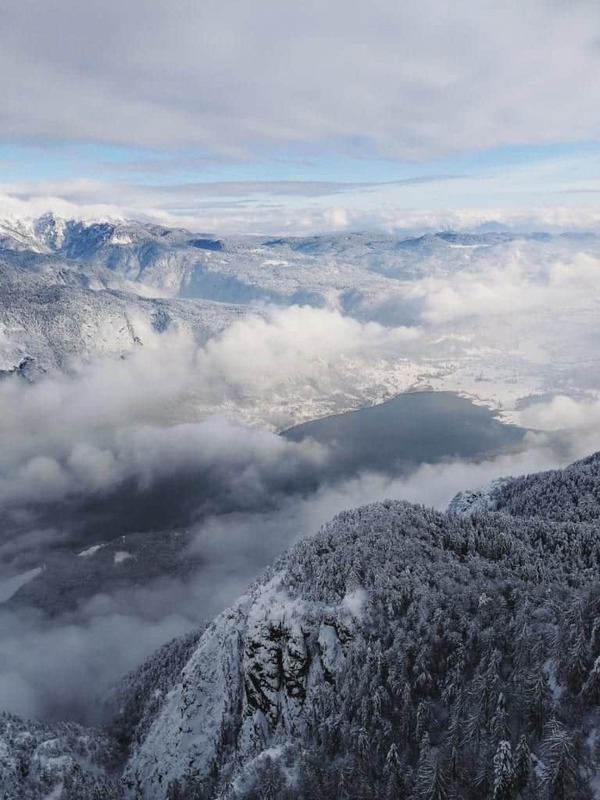 From the ski resort you have views over Trigal, Slovenia’s highest peak and Bohinj Lake. Even if you are not a skier, it is worth going up with the aerial cable car just for the view. There are many mountain eateries but the most spectacular one is Panorama with a view over the lake. The not-to-miss lift starts from Bohinj Lake. It is one of the most Instagrammable spots in Slovenia! You can access Vogel by car (2 hours from Ljubljana) or by bus that will take you directly to the cable car, at the Ukanc stop. With its crystal clear waters and stunning mountain views, Lake Bohinj is one of the most beautiful places in Slovenia. While it’s often overlooked by tourists who visit its more famous neighbour Lake Bled, Lake Bohinj should be on everyone’s Slovenian bucket list! The shores of Lake Bohinj are a short but incredibly scenic drive from Lake Bled. The lake is the largest permanent lake in Slovenia and is a quiet respite from the crowds that throng Lake Bled during busy months. On the way to Lake Bohinj make sure to stop at the quaint town of Bohinjska Bistrica located in the foothills of the Triglav National Park which is located between Lake Bled and Bohinj. 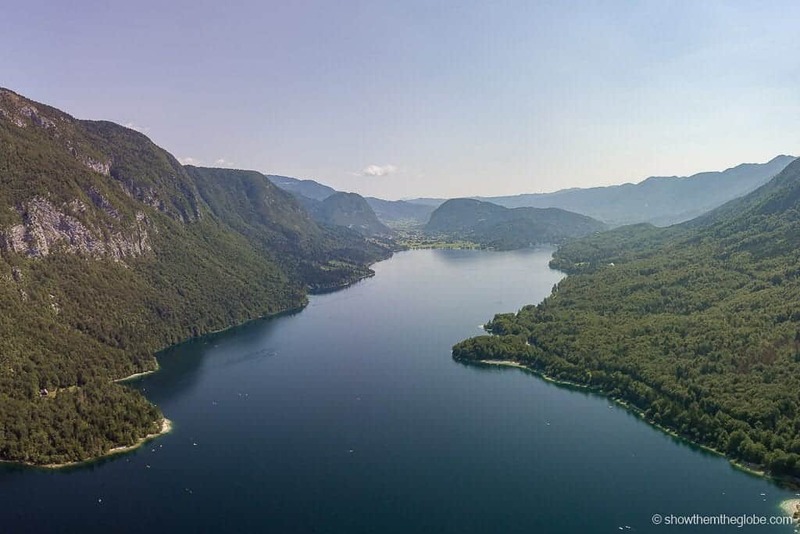 There are lots of activities to keep visitors occupied at Lake Bohinj. 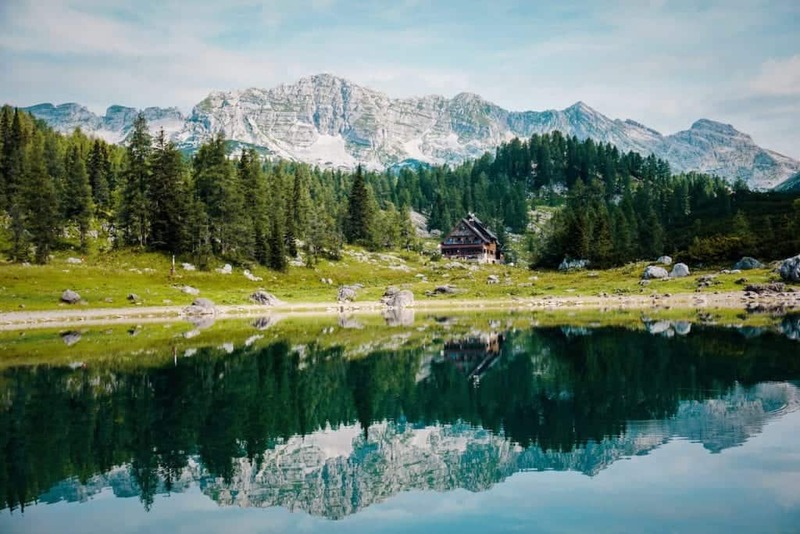 There is something for everyone: from hiking and cycling the shores to kayaking and swimming in the refreshing waters We love the hikes to Mount Psivec and Vogar which showcase the amazing views of the lake below. It’s also a great place to come and do absolutely nothing! We spent our day at Lake Bohinj relaxing at one of the many secluded swimming areas that are dotted around the lake. For anyone planning a trip to Slovenia, be sure to make some time for this beautiful lake. 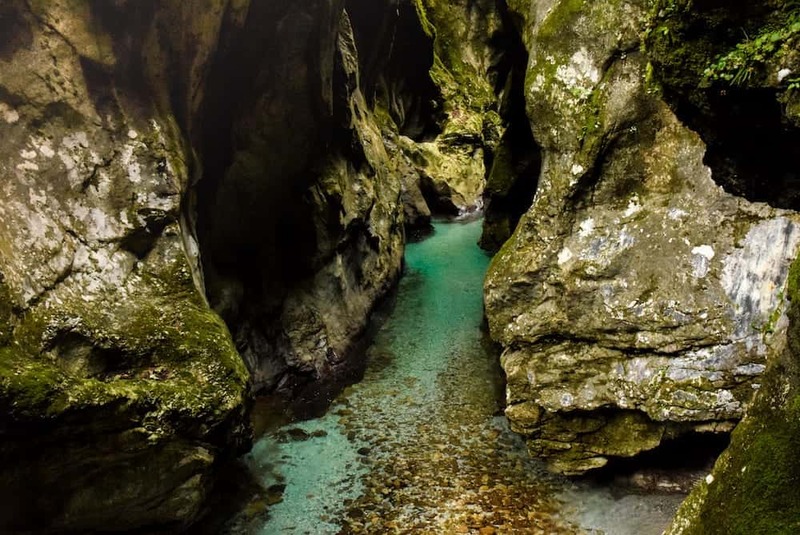 Situated at the southwestern most end of the Triglav National park in North West Slovenia, the Tolmin Gorge sits at the confluence of the Tolminka and Zadlascica rivers and is home to some of the most stunning, cool, turquoise waters. The gorge itself is beautiful and usually quieter than other gorges along the Soca River valley, making it a great off the beaten track addition to your Slovenia itinerary. There are also viewing platforms and bridges above where you can get a great view of the gorge with less legwork. From the lower level of the gorge, a cycle path runs along the river and it’s possible to bike further along the river valley if you have your own bikes. The gorge is open from April to November each year (it’s closed during the winter). We visited in autumn and found that a spectacular time to visit Tolmin Gorge (and the rest of Slovenia) with the gently rust-colored leaves falling into the gorge and adding even more color. When we talk about Slovenia’s unspoiled nature and its hidden gems, we absolutely can’t pass by one of the mind-blowing natural sites – Vintgar Gorge. Vintgar Gorge is a unique gorge nestled cozily in the eastern edge of Triglav National Park, just a few kilometers outside of the picturesque town of Bled. The gorge, carved by the Radovna river, is surrounded by varied plant life and lovely wooden walkways and bridges installed bellow impressive vertical cliffs. What makes this place so special is the fact that the color of the water changes from green to blue depending on the section. In other places, the water is transparent and forms beautiful pools, rapids, and waterfalls. Hearing the roaring of the water is extremely relaxing and will make you want to stay there as long as possible. At the end of the 1.6 km trail, you will spot another highlight, the mighty 13-meter-high Šum waterfall. Here, you can take some time and admire this wonderful gift of nature and capture some photos. This destination is an amazing place for a family trip, a relaxing day out where you surrounded with nature, a peaceful early morning walk, or just enjoying the pure, fresh air. If you want to know more about Vintgar Gorge read more info here. Deep in the south of lush green Slovenia is the rustic, humble and beautiful region of Bela Krajina. It is the poorest area in this country, but the people are incredibly lovely, welcoming, and eager. They are open to more people visiting the region and they will be very happy to show you just how relaxing and healthy life can be here! 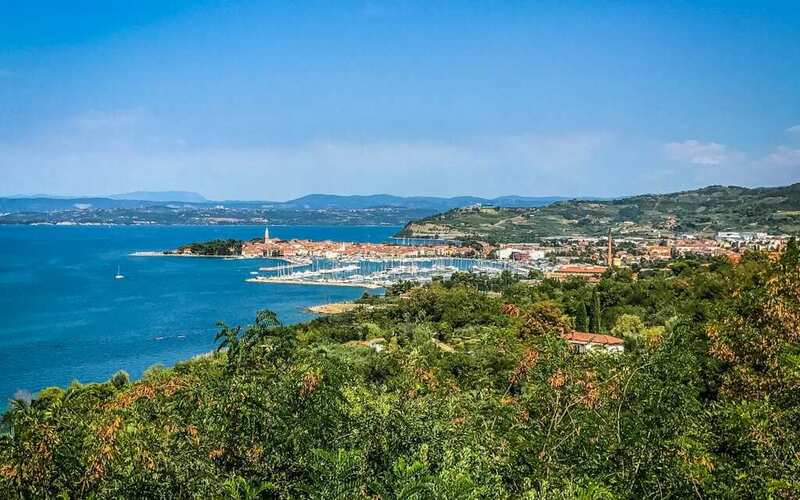 There are plenty of hiking routes to explore, a glorious gushing river with ample adventure sports activities to try, hidden retreat spots to relax and unwind, and Croatia is literally a stone’s throw away. Bela Krajina’s river is the border between Slovenia and Croatia – and you can easily wave to the neighboring locals as you sit on one side of the river whilst they are on the other. 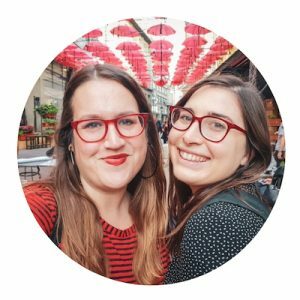 I hung out in Bela Krajina for 4 days and got up to plenty of things whilst I was there. Admittedly, you could check into a retreat like Big Berry and just let nature overtake you for all of that time. However, if you have itchy feet and really want to experience Bela Krajina to its fullest, I recommend the following: eat their locally grown and homemade specialities, go whitewater rafting along the river, visit the darling traditional little town of Črnomelj and go on this Bela Krajina secret hike. Soča Valley is a scenic area located in western Slovenia, close to Triglav National Park. This beautiful valley was created by one of the most famous rivers in the Balkans – Soča river. The river’s emerald color makes it a unique natural wonder and a trademark of Slovenian nature. In Soča Valley, there are lots of great places to visit – it is a paradise for nature lovers, photographers, and sports aficionados. Hikers, climbers, kayakers, cyclists, and skiers will all appreciate the variety of possibilities in Soča Valley. One of the must-see places is the Great Soča Gorge. It is a 750 meters long and 15 meter deep gully. At some points, it is only 1 meter wide! There is no marked trail leading along the gorge, but it is possible to get down to the bottom of the gully or admire it from the top of the rocks. All nature lovers should also visit Kojzak Waterfall and Tolmin Gorge. Kojzak Waterfall might not be very high, but it is so beautiful that it is considered as one of the best attractions in Soča Valley. Tolmin Gorge is a perfect place for an undemanding walk – it takes about one and a half hours to explore this amazing natural formation. Another natural gem is Boka Waterfall. 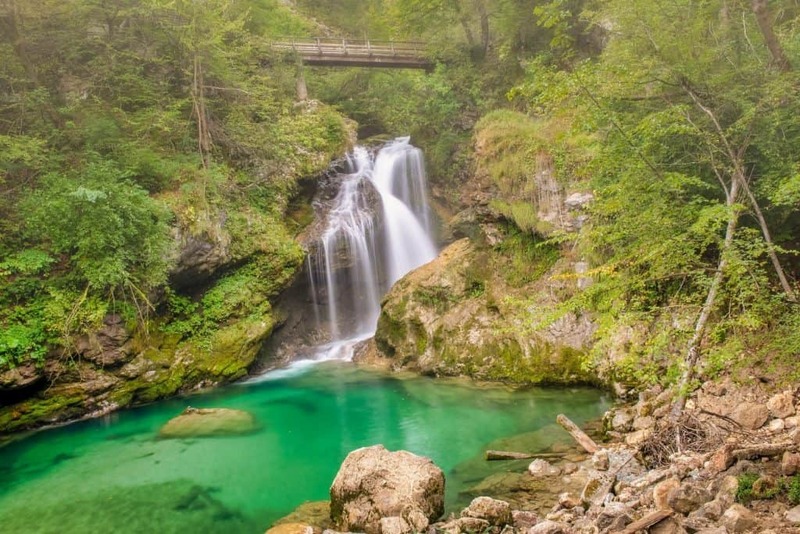 It is actually the highest waterfall in Slovenia – it reaches a whopping 136 meters! It is a real treat for Instagrammers and nature lovers. 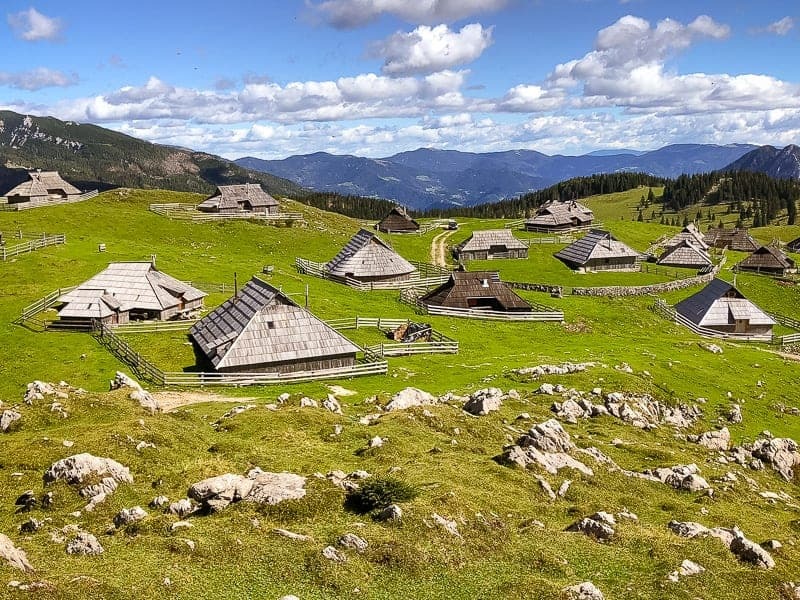 Slovenia is one of the greenest destinations in Europe, and one of the most amazing places to experience it all is on a summer hike to the mountain plateau to see the incredible alpine views and the historic herdsmen settlement of Velika Planina (literally “big plateau”) at the top. 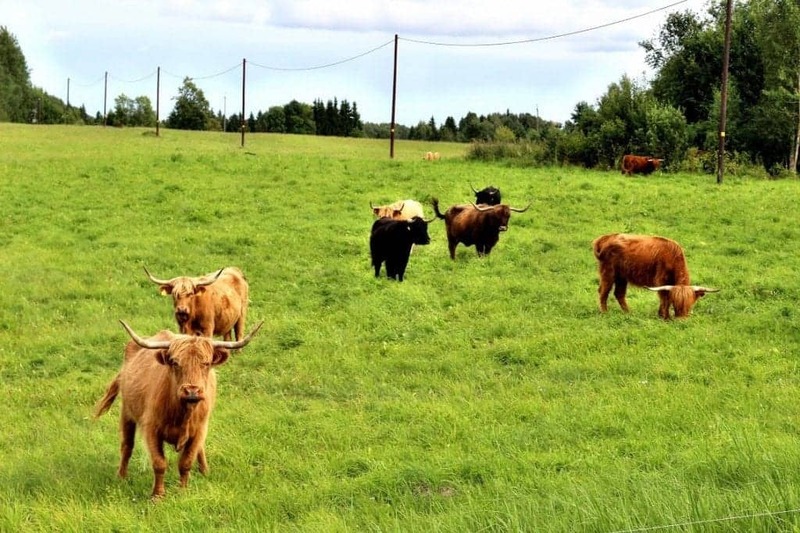 Located an hour northeast of Ljubljana, it’s a scenic and moderate hike to the mountain top, where local cow herders walk their herds up to greener pastures for the summer months of June through September. The surrounding Kamnik-Savinja Alps are the perfect backdrop to explore this beautiful plateau on foot, but first you have to get there. You can always hike up nearly one mile to the mountain top. But a more enjoyable way is to take the cable car up from the valley below, followed by a short chair lift to the summit at Velika Planina. Once at the top, you can hike to the settlement and visit the tiny museum to learn about the history and local culture. You can also visit the settlement for the annual Christmas Eve mass at The Chapel of Our Lady of the Snows, a magical time of year when visitors arrive by candlelight for midnight mass. When you’re visiting Slovenia, a hike to Velika Planina is a must for outdoor lovers and adventure travelers. One of my favorite places to visit in Slovenia is Piran, a pretty town on Slovenia’s Adriatic coastline. This former fishing village is built onto a peninsula that juts into the sea, and with fortified city walls and a baroque church keeping watch from above, it’s a postcard-perfect destination. Despite its small size, it’s easy to spend two or three days in Piran as there are plenty of things to see and do. The Old Town is well worth exploring not only to see Tartini Square and its pastel-colored Venetian Gothic buildings but also to wander the cobbled alleys that wind their way up the hill behind the town. Your uphill walk will be rewarded with a stunning panorama of Piran from St. George’s church – come just before sunset for the most incredible views. Another great vantage point is the city walls, which date back to the 7th century, and are open daily until dusk. Back down at sea level, a stroll along the seaside promenade is a must. Restaurants and ice cream sellers jostle for trade, sun worshippers bask on the water’s edge, and a tiny lighthouse stands proud at the tip of the peninsula, just as it has done for almost two hundred years. Even during the busy summer months when visitors flock to Piran for its idyllic seaside location, the town has a relaxed and friendly vibe. There’s nothing pretentious about this coastal town – and that’s what makes it so special. The picturesque town of Bovec can be found nestled in the Soca Valley and surrounded by the majestic Julian Alps. This little town is the adventure center of Slovenia and is jam-packed with adrenaline junkies. 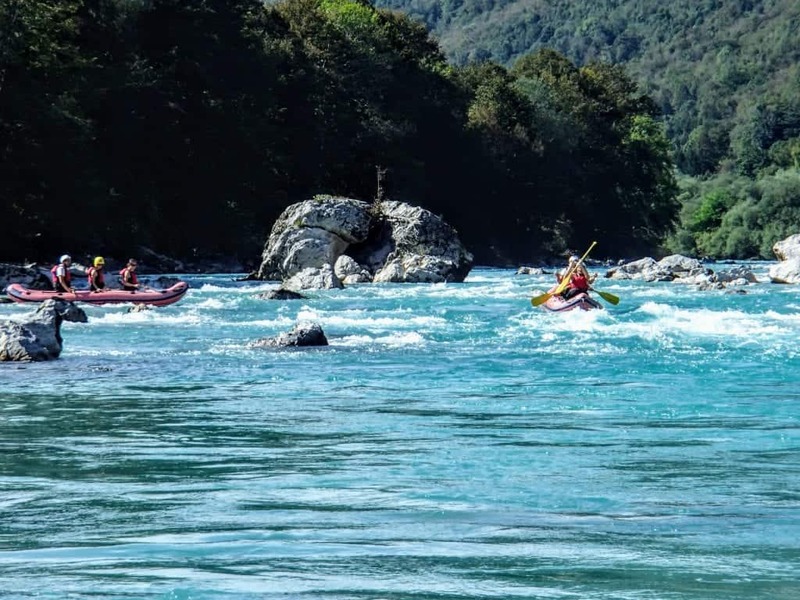 Dare to go white water rafting on the Soca River? Or how about flying through the sky on a zip line? Then Bovec is the place for you! Getting to Bovec can also be an adventure if you drive the death-defying Vrsic Pass from Kranjska Gora. It has been listed as one of the World’s Most Dangerous Roads due to its hairpin bends and steep gradient. If you have nerves of steel, it is highly recommendable as the views are spectacular. For a change of pace, the hike to the Boka Waterfall takes an easy 1.5hr and you’ll get up really close to watch the water falling freely for 106 meters before hitting the rocks below. The Virje Waterfall is another easy 3 km hike from Bovec. For history buffs, the Walk of Peace is a hiking and cycling trail that links the places associated with the First World War. There are also numerous other hiking and cycling trails with varying levels of difficulty to suit all levels, from racers to young families. Still, want more? How about skiing, sledding and cross-country skiing in winter or bungee jumping from the bridge over the Soca River. How about seeing the whole valley from a paraglide or spelunking in the nearby caves? Whatever your sport of choice, Bovec will provide and then some! The city of Ptuj has incredibly been inhabited since the Stone Age! Being the oldest recorded city in Slovenia, it easily rivals Ljubljana for historical importance, yet very few tourists make it this far East. The Ptuj Castle is a highlight with its panoramic views over the red-roofed city and across the Drava River. The castle museum has an extraordinary display of armour, tapestries and a large collection of Kurent masks and costumes. The old town is small and can easily be explored in an hour or 2. From the central Slovenski Trg square make your way to the clock tower in front of the Catholic Church, then wander down Murkova Ulica till you reach the al-fresco restaurants and cafes in Mestni Trg square. Other sights include the statue of Saint Florian, Minoritski Trg, the Miheliceva Gallery and Mestni Park. Ptuj is also well known for its thermal pools, so make sure to find time for a restorative soak. The slides and outdoor pools are also a big hit with kids. The medieval city of Ptuj is simply enchanting. 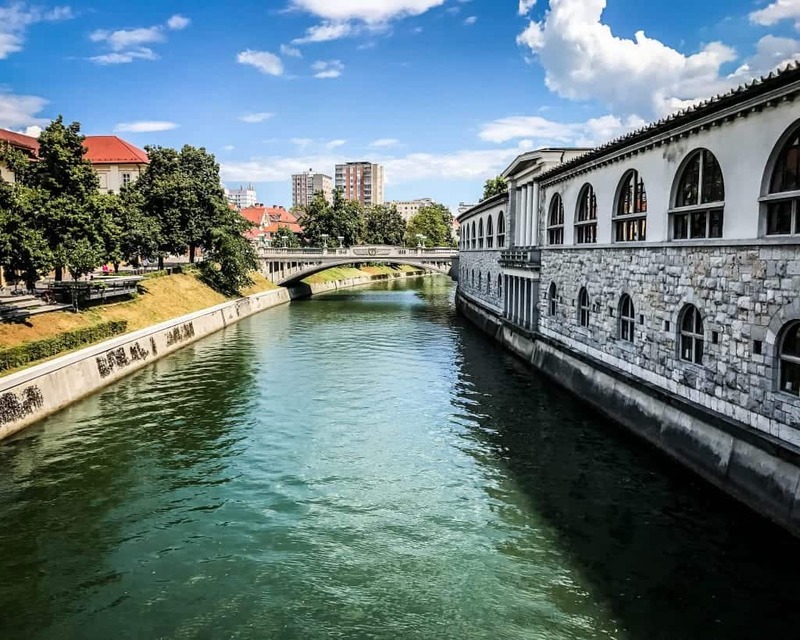 Get lost meandering along the quaint cobbled streets, enjoy a delicious meal while watching the world go by in Mestni Trg square or enjoy a walk along the Drava River. No matter what you do you’ll have the town virtually to yourselves! Portoroz is a small town on the Adriatic Coast of Slovenia. It’s a great town to use as a base for exploring the area. Make sure you take a day trips by bus to either Piran and Izola, also on the coast but with a lot more old European charm. 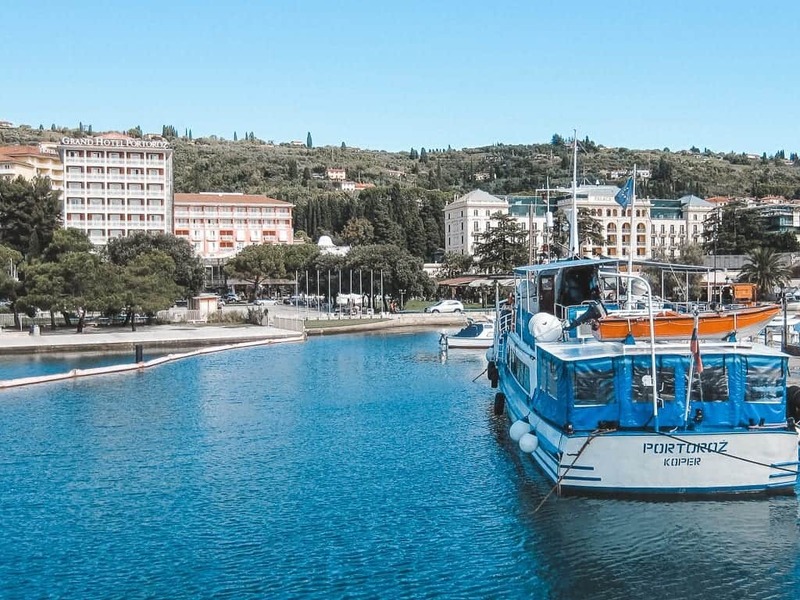 You could also take a boat trip to see them, but don’t forget Portoroz, too! If the season is right, relax at the Portoroz Beach. Visit the salt pans to see where Piran salt comes from. Walk along the promenade and admire the Adriatic Sea and check out the shops and restaurants. 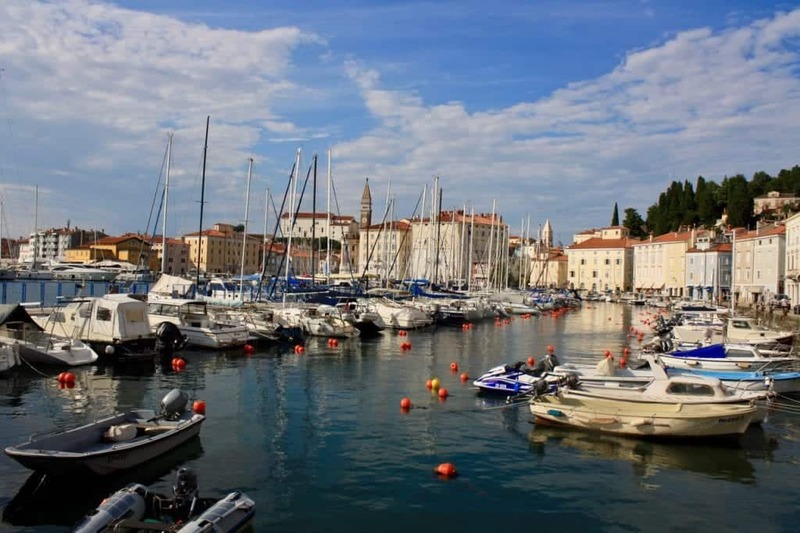 If you’re just visiting Portoroz, Piran, and Izola, two or three days should be good, but if you’re using it as a base for day trips, then maybe four or five would be better. Be sure to visit the Skocjan Caves, Postonja Caves, or Mount Vogel. This was the best place I visited in Slovenia (but I did love it all) and I can’t wait to go back. When friends of our suggested a holiday by a lake, we were dubious to say the least, especially visiting Lake Bled with a toddler. But after a week spent at Lake Bled in Slovenia, we were converts. So much so, we are eager to return. Lake Bled, nestled among the Julian Alps, is one of the most picturesque places we’ve ever visited. Extremely family-friendly and with a landscape to wow you, it’s one of the best places to visit in Slovenia. During summer you can enjoy swimming in the lake, along with a host of other water sports. Bled Castle sits on a hill top overlooking the lake and offers some spectacular views of the lake and surrounding area. You can also immerse yourself in some history while exploring the castle. Bled Island is easily reached, either by boat or, if you fancy it, by paddle boat. You can even swim out to it! Make sure to visit the church on the lake and ring the bells. It’s said that those who ring the bell, and therefore pays honour to the Virgin Mary, will get a wish come true. The island, although small, is worth getting one of the pletna boats over, especially if visiting with smaller children. There is a range of other activities to do including hiking, tobogganing down the mountain side, walking the circumference of the lake and more. And winter sports are in abundance around Lake Bled if you are visiting at that time of year. There are lots of restaurants and cafes for eating in, and you must make sure to try a slice of Bled Cake. It is delicious! You can easily spend a week near Lake Bled, enjoying all it has to offer and the surrounding areas. 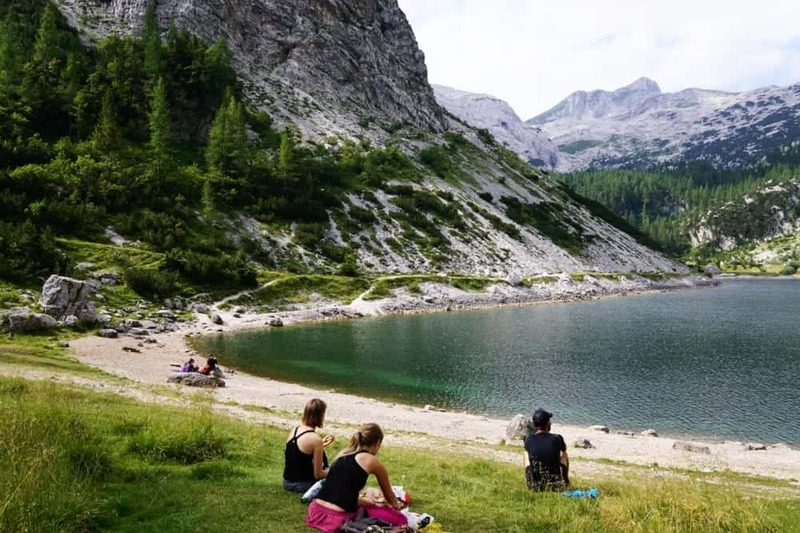 Neighboring Lake Bohinj is worth a visit if you have a car, and the capital Ljubljana and the nearby Postojna Caves are easy to reach for a day trip. It truly is a great base for enjoying a holiday and exploring some other must-visit places in Slovenia. Slovenia is known for a few of its cave sites, but even though Skocjan is a UNESCO World Heritage Site, it’s not as well known as some other sites. Maybe it’s because it’s further from Ljubljana, tucked into the corner of the Italian and Croatian borders. It’s almost three hours from the capital city either by public transportation or car, but is it ever impressive and well worth the trek! 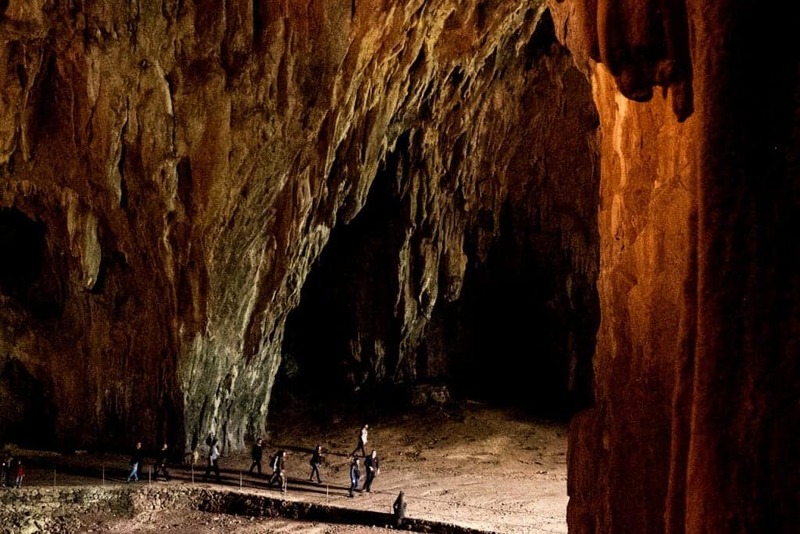 Skocjan is the largest underground cave in the world, and even when you are touring it, it’s difficult to grasp the enormity of it. Upon arrival, tickets are bought and visitors are separated into groups. There are tours in many languages, but of course there are more in Slovenian and English, which leave hourly starting from 10:00 AM. The tours meet on the grounds of the ticket office and are escorted to the entrance to the cave, which is a good ten minute walk. After a brief introduction, the guide holds open a small door, and as you peer in: surprisingly it looks small and confined. Where are the huge caverns? They are located after the initial path sloping down into the earth. After a few minutes, the cave opens up and the walls and ceilings are covered with limestone stalagmites and stalagmites. The gorge and caves were created over centuries by the Reka River, which you will cross and see during the tour. There are three different walks to choose from when buying your tickets, but please beware, all of them are on unleveled ground, which is sometimes wet and slippery. There are also quite a few stairs to climb. At the end of the tour, you can take an outdoor elevator to ground level back to the ticket office and parking. One of the most impressive sights and natural phenomena in all of Slovenia, it would be a shame to miss it! What better way to start that day than over a breakfast basket filled with organic local produce while you watch the Kolpa River float by? Hypnotic! In summer, you can even swim in the river. Big Berry, Slovenia is a stylish glampsite set on the Slovenia/Croatian border near Primostek (Bela Krajina region). Each cabin has a hot tub for sipping delicious Pivovarna Vizir wine or beer. There are a couple of dining options close to Big Berry, a well-equipped kitchen in each cabin, and BBQ area. With Big Berry amenities you might not want to leave but since Slovenia is a small country you can easily day trip to the likes of the fairytale town of Bled or to Postojna Caves! Tivoli is the biggest park in the capital of Slovenia, Ljubljana. There are always people enjoying this green oasis right close to the train station and central Ljubljana, but the area is big enough that everyone can find their own spot in the shade under a tree. In Tivoli Park, you can find approximately five square kilometers of paths, fountains, trees, outdoor galleries, and even a pond with an old boathouse – no boats anymore, as it was turned into a very popular cafe called Colnarna with plenty of outside seating. Locals love to spend time in the park. There are people doing yoga, cycling, jogging, roller-skating, or just strolling around. You can find a few children’s playgrounds around the park and if you are patient and quiet, you might see squirrels jumping from tree to tree. You can see families having picnics and in the evening listening to mini free concerts under the stars – mMostly in the warmer months, of course. Moms with strollers somehow always end up chatting and eating cakes at the tables of Colnarna or one of the other smaller cafes. I have two favorite spots in Tivoli. One is a bench in a rose garden next to the Glasshouse, near the pond and close to the outdoor library, which pops up on sunny days in summer. The second one is at the top of the Roznik hill, above Tivoli. The hike is just long enough to call it exercise, and you can treat yourself to a local dish at the top. Flancati are huge sweet snacks that go well with coffee or tea. Last but not least, on the way back to the city, check out the outdoor gallery at Jakopic’s promenade. They change the photographs on display every few months. One of the things we like to do as we’re traveling to a new country is to use the list of Unesco World Heritage Sites as a touchstone for suggesting places to visit. That’s how we ended up in Idrija, Slovenia. Idrija was inscribed on the World Heritage list because it was the site of the world’s second largest mercury mine for more than 500 years, only closing when the falling prices and increased knowledge of the poisonous effects of mercury converged to make it no longer economically or ecologically viable to continue the operation. 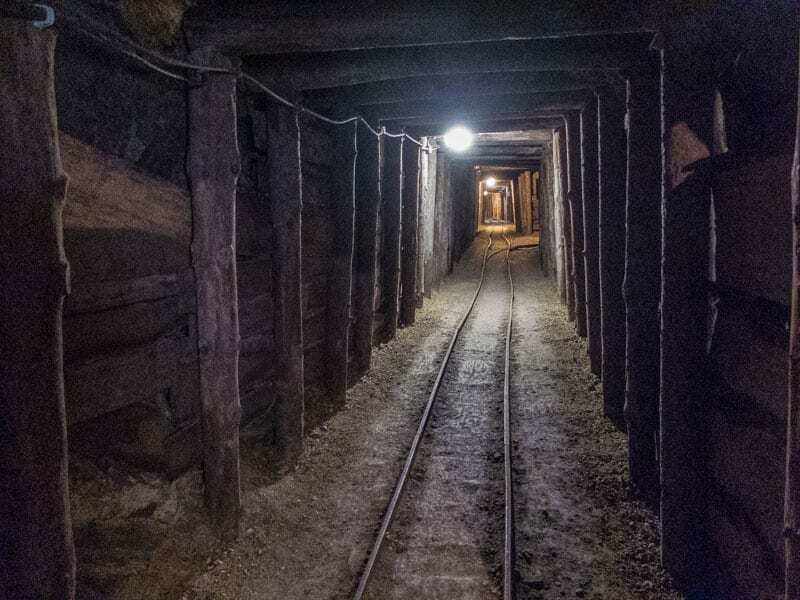 A portion of the mine has been preserved for tours. An interesting, and perhaps ironic, fact of life in Idrija was that while the men were working in the fatal environment of the mercury mine, the women mostly occupied themselves making elaborate and beautiful lace which was sold all over Europe. The Municipal Museum was full of lovely examples of Idrija lace, including several of their unique asymmetric creations to require uncanny skill, imagination, and patience. Lesser known than other places in Slovenia such as Lake Bled or Ljubljana, the Logar Valley is definitively worth the detour. Wandering through this valley, also known as Logarska Dolina, is breathtaking: Sharp summits, rock steep walls, green pastures, historical and charming farms and, as everywhere else in the country, lots of trees… (see more photos in this article), but the main interest is the drive or walk to the end of this glacial valley. The Logar Valley is not difficult to access. Located north of Ljubljana, it will take you about 1 hour and 40 minutes by car. It is a great place for those who love hiking. There are several waterfalls in the area, but they are not always flowing. One of the most visited, the 90m (295ft) high Rinka waterfall, can be reached after a steep but short hike from the last carpark deep in the valley. I recommend an overnight stay to appreciate the silence of nature and to see the sun slowly filling up the valley and highlighting the mountains. But if you stay longer, you can explore the other glacial valleys nearby: Robanov Kot and Matkov Kot or drive the Solcava Panoramic Road and taste delicious produce at the various farms. Planning a trip to Slovenia? Pin it for future reference!